Jennifer Lopez was spotted front row at Chanel’s spring 2012 show with boyfriend Casper Smart and her adorable daughter in tow. The little girl held on to Casper for comfort away from the flashing light bulbs as the young family garnered a great deal of attention. One of the reasons they were in the limelight (aside from being in the front row) was because Jennifer couldn’t look any better. The white lace dress is flattering on her well-toned body and the Chanel purse looks great too. The bag is going to be spotted on many trendy ladies and style blogger this coming spring as soon as it hits stores. It’s called the Chanel boy bag but it’s so pretty and feminine. 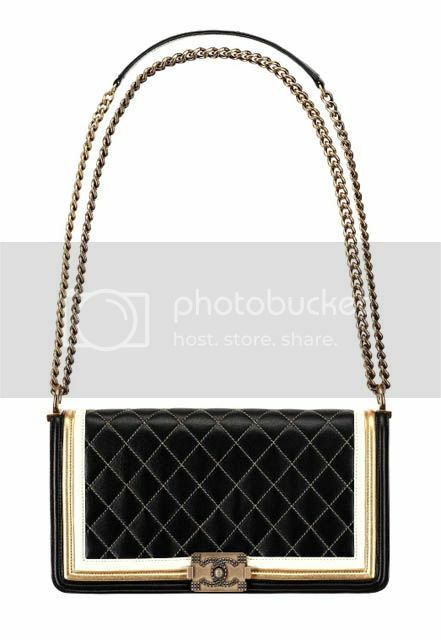 This purse features gold and black leather trim with signature Chanel CC lock and heavy chain strap. It’s a fresh alternative to the classic flap bag look and a uber stylish one at that. Expect to be seeing a lot of it next year!